Door by door, building by building, street by street. Zenga Zenga. 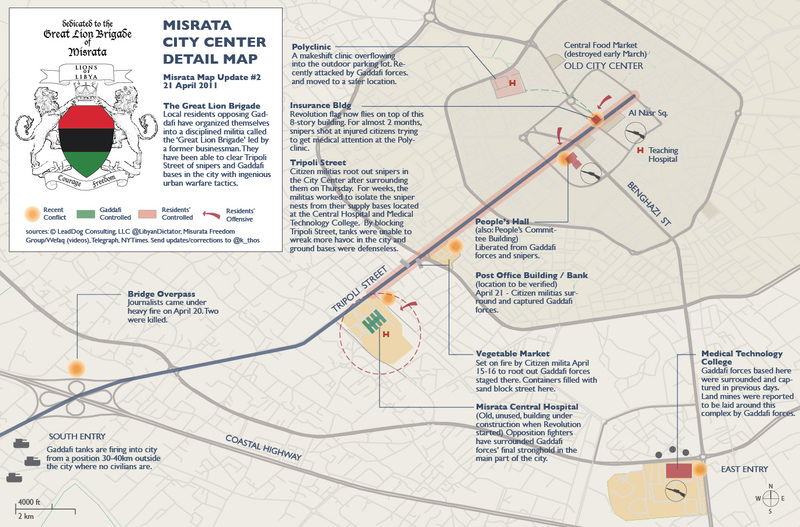 The battle for Misrata by the Great Lion Brigade has been waged all over the city, from the residential outskirts to the port. But the most intense battles have taken place in the city center along Tripoli Street. It was on the Bridge overpass that foreign journalists came under fire and Chris Hondros and Tim Hetherington suffered mortal wounds. Here’s a map of the infamous Tripoli Street and the scene of Zenga Zenga fighting. Lions of Libya – Courage and Freedom!